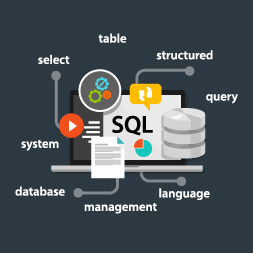 In the free online course Databases - DML Statements and SQL Server Administration you will learn about using statements to retrieve, modify and delete data from a database. You will study about performing administrative tasks such as adding security and backing up your database. The course begins by introducing you to DML or Data Manipulation Language statements. It will teach you about the SELECT statement to search and retrieve data from your database, and about applying the where clause to refine your SELECT statement. You will also learn about aggregate functions and other clauses you can include in your SELECT statement, and to update and delete data in a database. Next, you will be introduced to security terminology in which you will learn about the different levels of security using SQL Server Administration. This course will also teach you about applying security and adding users to a database, different ways to backup and restore a database using SQL Server Administration. This free Alison course will be of great interest to those wishing to learn about querying a database and applying security to it.